ADD Glenn Capacio to the growing list of former Kia/Mahindra personalities who have labor issues with their former PBA team. 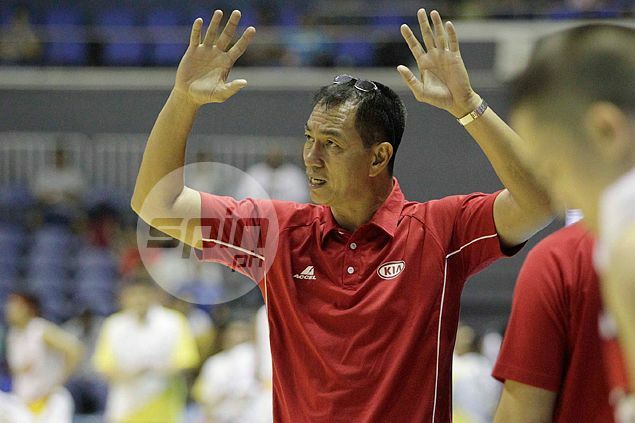 Breaking his silence, the former Kia coach stressed he and assistant Louie Gonzales were unduly terminated last January, adding they still have to be paid salaries due them under their contracts. Capacio on Friday furnished scribes a copy of the termination letter, signed by team manager Eric Pineda, citing five points of their “gross professional or personal misconduct,” foremost of which was their failure to attend a meeting called by Kia governor Jose Alvarez last October. But Capacio and Gonzales insisted they were excused and had a valid reason, which was to scout GlobalPort, their upcoming opponent, in a game early in the last Philippine Cup. Asking for further justification, the veteran mentor, who still had 19 months left in his contract, said he was instead offered a contract buyout for a pay of just three months, which he refused. Gonzales has eight months of unpaid salaries. Capacio said he has since sought legal action, filing a case before the National Labor Relations Commission a few months ago. Asked why he waited until now to speak, Capacio said he gained courage after players Alex Nuyles and Mike Burtscher aired their dismay on social media. “Yun lang lagi na dinadasal ko na sana may lumabas na players ko kasi alam ko na medyo magulo yung takbo ng team,” he continued. But Capacio said his beef with management is nothing compared to other former Kia players’ concerns. Capacio has batted for the revival of PBA Players association, rattling off some names, primarily popular Rain or Shine guard Chris Tiu, as those who can lead the union.